Something a bit funky for the surf-dude in your life! Made of a 100% cotton, hand tie-dyed in a wonderful range of deep bottle greens, aquas and teals with a circular design spread over the surface of the fabric. 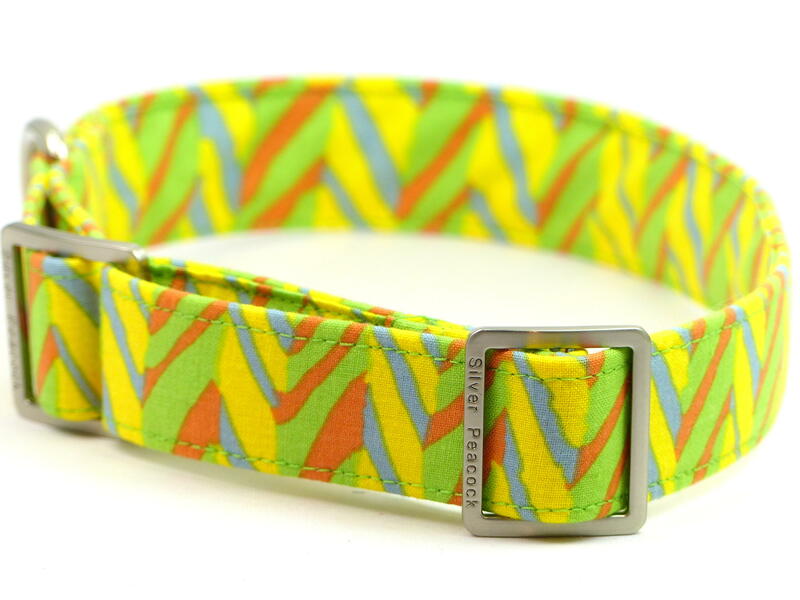 This collar will be perfect for that distinguished hound looking for something funky for the summer. 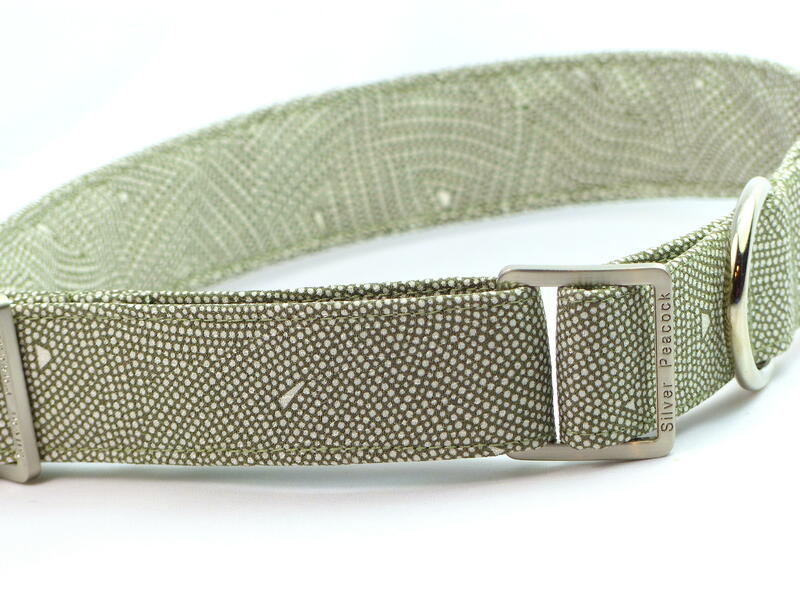 The collar is lined in racing green fabric and finished with our robust signature silver coloured hardware.